I want the best tutor you have! How do I get information about the tutors? May I choose which one I want to work with? PowerScore doesn’t hire different levels of tutors because we believe every student deserves the best. We have no doubt in our mind when we say all of PowerScore’s top scoring tutors are excellent! We have a strict hiring process to make sure all of our tutors have not only mastered the test themselves, but have the communication skills to teach you what you need to know to be successful! Tutors are assigned based on availability and the student’s strengths and weaknesses. After you are assigned, we are more than happy to give you background information on your tutor. Use your initial conversation as a chance to get to know your tutor. In the case that you feel you don’t click, we are more than happy to reassign you based on tutor availability. Do I need to pay before I am assigned a tutor? No. No payment needs to be processed until we have assigned you a tutor. Once we have done this, the tutor will contact you by telephone for an initial conversation and together, you and your tutor will develop an initial tutoring plan. Payment may be made anytime before tutoring begins. Where do I meet with my tutor? Tutoring takes place at a mutually convenient location for the tutor and student. This should definitely be discussed during the initial conversation. Often times, tutoring sessions occur at public libraries, universities or college campuses. We do not require our tutors to meet in the student’s home. During the initial conversation, the student and tutor will determine a mutually convenient schedule. The advantage of tutoring is that it can be as flexible as you need it to be and is never set in stone. Tutoring sessions may change week to week. We do ask that students give 24 hours notice to their tutor if they have to reschedule or cancel a tutoring session. Failure to cancel by that deadline may result in the student being charged for the scheduled meeting. How many hours of tutoring should I purchase? PowerScore tutoring is designed to provide the most customized learning experience for each student, so students may purchase hours individually or in a package. After discussing your preparation with your assigned tutor, they will be able to give you insight on how many hours you may need. What materials are used during tutoring sessions? 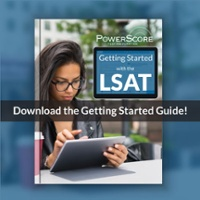 PowerScore tutors are trained only to assist with PowerScore’s ideas and methods and therefore can only be helpful to a student when using a PowerScore publication or material published by the makers of the exam. Is there a guarantee for tutoring? As for a guarantee, we cannot make any promises or assurances about score increases. We feel we offer extremely high-quality preparation, but there are still many factors beyond our control. For example, we cannot require you to study on your own outside of your tutoring sessions, but we feel that is essential to improving your score. We also cannot control whether students will face performance-inhibiting factors such as test anxiety, illness, or test center distractions. In the same way that quality schools such as Harvard, where a great education is offered, cannot guarantee your eventual graduation, so we cannot guarantee that your test score will increase. We do, however, feel that the elite instructors and wealth of material available to you provide you with the best tools possible for your preparation. What is PowerScore’s refund policy? If a tutoring package has been purchased and a refund is requested for unused tutoring hours, discounted package rates no longer apply: materials and any hours already completed shall be billed at standard rates and an administrative fee of $50 will be assessed. If open-ended tutoring hours have been purchased, the student will receive a refund for the price paid for unused hours less a $50 administrative fee. PowerScore’s refund policy is provided in the Enrollment Agreement that all students sign before tutoring may begin. I have spoken to the tutor assigned to me and want to get started. What is the next step? Before your tutor may be authorized, please submit payment to our office by calling (800) 545-1750. I took one of your courses. May I receive a discount? Of course! Please contact our office at (800) 545-1750 and any representative would be happy to assist you and discuss your options.